FRANKFURT -- Daimler is considering Poland instead of Russia for a new Mercedes-Benz car plant, reports in the Polish and German press said. One of the sites under discussion is in Jawor in southwest Poland where Jaguar Land Rover had considered opening a new factory before the UK luxury automaker opted for Slovakia, the reports said. The reports did not mention which models Daimler would build in the plant, saying only that the company plans to produce cars there using its new real-wheel-drive MRA modular architecture that will eventually underpin the Mercedes brand's upmarket models including the C-class, E-class and S-class sedans, and crossovers such as the GLC. Mercedes is enjoying a sales boom - its two-month global sales were up 16 percent to 284,566 - and the brand needs more production capacity to help it reach CEO Dieter Zetsche's goal over replacing BMW as the top-selling global luxury brand by 2020. In January, Zetsche said the automaker was pursuing adding a plant in Russia to support the 'remarkable' performance of Mercedes in the country. But the situation has changed because there are no signs that Russia will recover soon from its deep economic slump, so Poland is now in the frame, Automobil Produktion said. Daimler's plans also include an engine plant in Poland, the business paper Puls Biznesu reported, according to Automobil Produktion. According to the report, Puls Biznesu expects a decision on the plants to be announced by the end of this month. 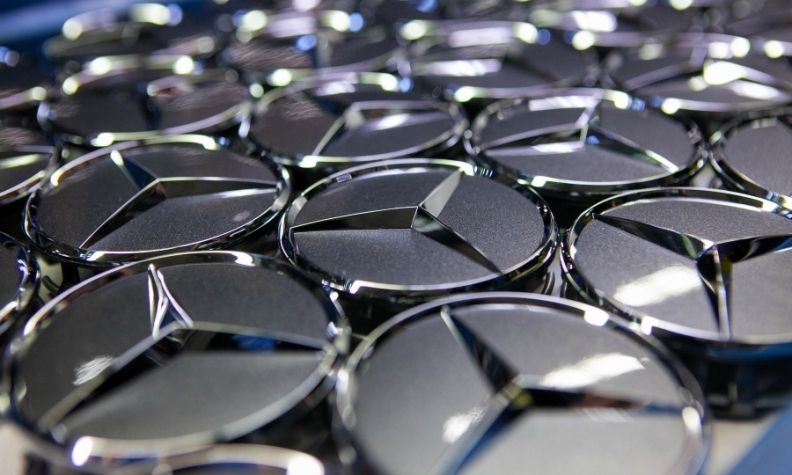 A Daimler spokesman told Automotive News Europe that "there are currently no decisions regarding [additional] local production of Mercedes-Benz passenger cars or engines in Europe." Jaguar Land Rover will start production in 2018 at a new $1.5 billion factory in Slovakia. Polish government officials are remaining tight-lipped about negotiations with Daimler, reports said. Briefings to journalists that the special economic zone that covers Jawor was favorite to win the JLR plant upset the UK automaker, a Financial Times report said.